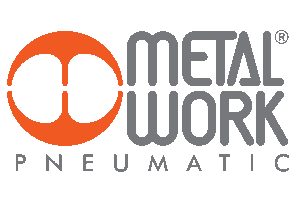 Established in 1967, Metal Work specializes in the production of pneumatic components for automation systems. They concentrate on five different product ranges: actuators, valves, FRL units, fittings and handling components. They are ISO 9001, ISO 1401 and OHSAS 18001 certified. Product quality and dynamic sales organisation are the pillars on which Metal Work founds its leadership, allowing the group to satisfy all possible requests concerning automation systems. EB 80 is defined as an electro-pneumatic system as it would be simplistic to use the term "solenoid valve island". In effect, a single assembly can combine solenoid valves of all types, multi-position bases, pneumatic and electric supplies arranged as desired in a system, digital or analogue input or output signal control modules and much more besides. The EB 80 system is protected by numerous patents and utility models, which enhance the most innovative design solutions. The possible combinations are endless, but the most amazing thing is that they can be obtained using a small number of basic components. In order to achieve this objective, a single size of small yet high-performance valves to cover the vast majority of applications was conceived. A single electronic control unit is provided when supplying 12VDC or 24VDC valves with multi-pole cables or with a field bus for each protocol. All EB 80 versions come with an efficient diagnostic system. EB80-BOXI was designed to best meet this requirement for simplicity. It consists of a solid base that accommodates pneumatic and electrical connections, the electronics and up to 4 valves. ONE a compressed air treatment unit with a high degree of integration, that encompassed numerous pneumatic functions. ONE has a single high-performance valve on the main flow that handles all the functions from regulation to relief. It is controlled by a high-precision pilot regulator with controlled relief, in series with the manual on-off valve, the electric valve and the progressive actuator. Unification of the valve has led to a significant reduction in overall dimensions, enhanced capacity, precision and response speed. One single unit houses the threaded ports, filter, condensate drain, pressure regulator, shut-off valve, soft start valve, pressure switch and three supplementary air intakes. There are products designed for normal operation with compressed air that are not suited for application in certain industrial sectors. Let’s take, for example, fluid metering plants, steam-conveying plants or chemicals treatment plants. These applications, which are identified by the generic term of "process industry", require the use of component parts that are designed and manufactured with specific materials, undergo special treatments and engineered solutions, featuring particular requirements. The products best suited to intercept and control the flow of fluids, such as water, steam, mineral oil and numerous chemicals. ISO 15552 cylinders, featuring specially-shaped barrels designed to reduce weight to a minimum. Two T-slots on the same side as the threaded fittings can take retractable sensors. The other three sides of the barrel are smooth, with no slots, and hence easy to clean.